All starters are served with fresh green salad and mint sauce. Tandoori is a traditional and oriental method of barbecuing and baking over flaming charcoal on skewers, chicken and lamb individually marinated in sauce with delicate herb and various spices for a few hours before cooking, our tandoori dishes are served with mint sauce and salad. Chicken cooked with spiced minced meat, garlic, onion, tomatoes, capsicum in a special sauce with spices & a boiled egg. Cooked with kaghani spices, fresh cream, mint, coriander leaves, lychees & mushrooms, giving this dish a unique flavour. Diced chicken with prawns & mushrooms cooked with kasuri spices, onions, capsicum & tomatoes. Chicken tikka & lamb, king prawn & sheek kebab cooked with garlic, ginger, capsicum & onions. Ginger, garlicbased dish with sliced capsicum & onion, infused with chefs special spices. Ginger & garlic based dish, enriched with chefs special spices cooked with okra. Prepared with fresh mixed pickles, fresh garlic & herbs. Ginger & garlic dish inspired with chefs own spices along with strips of chicken. Lamb preparedwith capsicum, tomatoes, garlic, ginger & fenugreek. A traditional Punjabihomestyle dish, cooked with fresh ginger, onions & tomatoes, a taste that will leave you well & truly satisfied. Tandoori fish cooked with unique blend pepper, onions, green chillies, using a combination of aromatic herbs. Chicken tikka cooked with fenugreek & spinach in a medium consistencysauce enriched with chefs special spices. Lamb on the bone with potatoes, garlic ginger based dish just like home cooking a firm favourite. Hot. King prawns marinated cooked in a clay oven with a unique blend of peppers, onions, green chillies using combination of aromatic herbs. Cooked with fennelseeds, special spices, onions, mango chutney, mixed pickle & fresh cream, a sweet & sour dish. Cooked with fresh tomatoes, capsicum, onions & fresh spinach. A unique blend of peppers, onions, green chillies, using a combination of aromatic herbs. Freshly prepared in garlic sauce cooked with onion, tomatoes & capsicum. Pieces of chicken marinatedin a garlic sauce, cooked with fresh green chillies, onions, tomatoes & capsicums. A creamy dish inspired with tomato puree, cream & butter to give a smooth subtle taste. Prepared fresh yoghurt& almond powder & pineapple may contain nuts. A very popular delicate sweet creamy dish cooked with desiccatedcoconut & cream may contain nuts. A very popular delicate sweet creamy dish cooked with decicated coconuts/cream (may contain nuts) (mild). Spicy minced meat cooked in a mouthwatering masala sauce with succulent pieces of tandoori chicken. Tender pieces of tandoori chicken breast off the bone, chicken tikka. lamb tikka cooked in an aromatic rich sauce. Cooked with fresh green chillies, coriander, tomatoes, ginger & special herbs. Lamb & mushrooms cooked with garlic, ginger & tomatoes in a medium sauce. White fish cooked with fresh garlic, ginger, capsicum, onion & tomatoes, medium consistency which is a firm house favourite. Lean lamb on the bone slow cooked in garlic & ginger, a dish of medium consistency. With chefs secret spices just like home cooking a true taste of Punjab. Cooked with lamb tikka & a unique blend of peppers, onions & green chillies using a combination of aromatic herbs. (medium). Prepared with homemade fresh cheese, capsicums, onions, green chillies & aromatic herbs dry dish. Garlic & ginger based dish with pickle in a spicy masala sauce. Garlic, ginger, dish cooked with a hint of pickle to give it that mouth watering flavour. All served with chips, peas and salad. Chicken tikka, lamb, onions, capsicums, cumin & special spices. Medium. Side dishes or as main. Basmati rice flavoured with cardamon, cinnamon and bay leaves. A soft fluffy bread made from self raising flour with black onion seeds, baked in tandoor and served fresh every time. A traditional drink made using freshmilk, mango pulp & yoghurt. Balti international was my local curry house,we always went there,we have since moved and I will always continue to use the Balti International as the food is always impeccable the staff are always polite and always ready to make your visit welcoming,I recommend very highly! The delivery was on time to given the distance travelled! Although the food wasn't very warm easy sorted,maybe get a thermal insulating bag to keep food hot whilst in transit, otherwise superb! 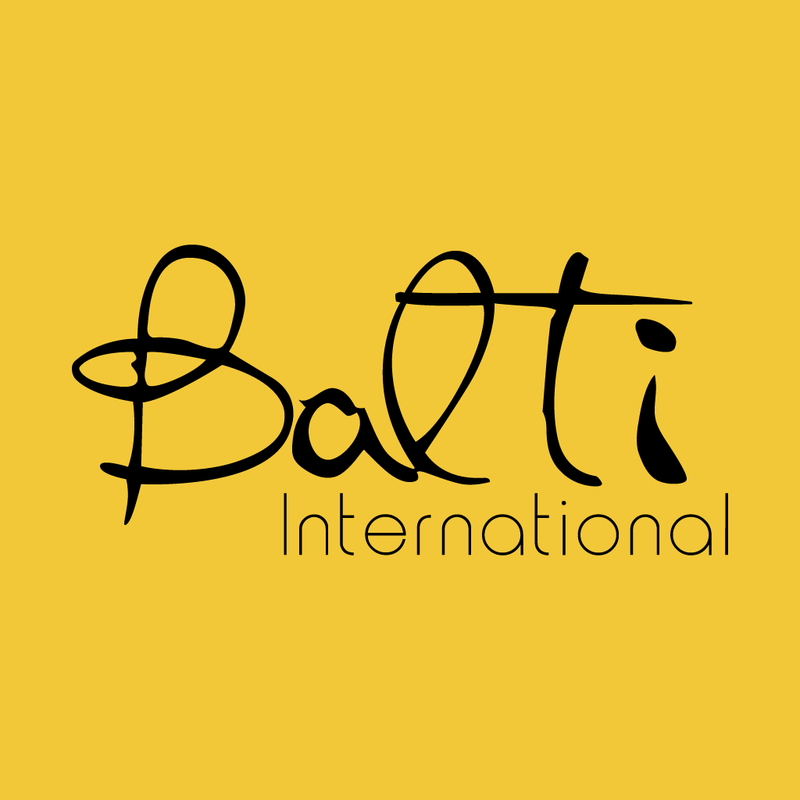 Been going to Balti International since I moved to Derby around 5 years ago and have never had a negative experience. Great portion sizes, reasonable prices and always arrives in good time. Would highly reccommend. Food arrived within the designated time and was hot and tasty. I have never had a bad meal from Balti International. Would highly recommend. Always amazing food, and great service! would definitely recommend. Always brilliant! Food is delicious and the staff are all friendly and efficient!! As always from the Balti International, excellent. This is my favourite Indian takeaway in Derby. Although they did deliver me the wrong food, it was quickly corrected. Lovely food! Food is always tasty and nice and hot when it arrives. Would highly recommend. Good value as usual, we have been eating at this restaurant for years and the takeaway was the same excellent standard. Prompt delivery of warm, excellent quality food as usual! Our favourite takeaway! I order from here all the time and have always loved it. But now they have changed the chips to fries which i dont think go nice with chicken tikka masala, would rather have the chips. Food arrived hot. And the taste was beautiful. Would highly recommend. Always amazing, always on time!!! Fantastic quality at a great price ð??? Good food arrived on time nice and hot. Disappointing to see that the usual complementary popadoms & little side salad with sauce omitted from the order. Used Feedmeonline for the first time and everything went perfectly. Great food, ordered chicken dansak and chicken Sri Lanka, both very tasty. Will order from Balti International again. Beautiful food as always, top quality at a good price and delivered by a lovely man in a suit ð?? ?